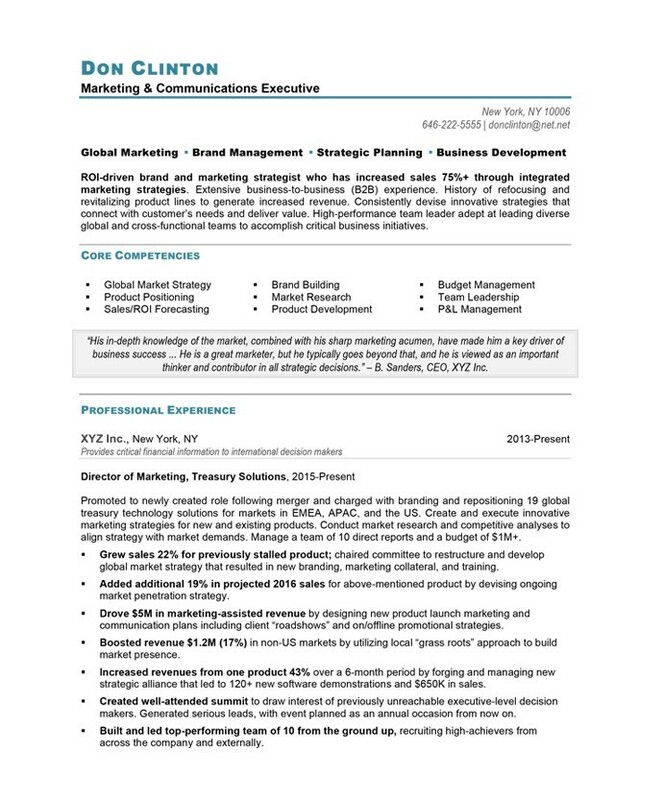 This marketing director resume sample shows the power of a strong opening. 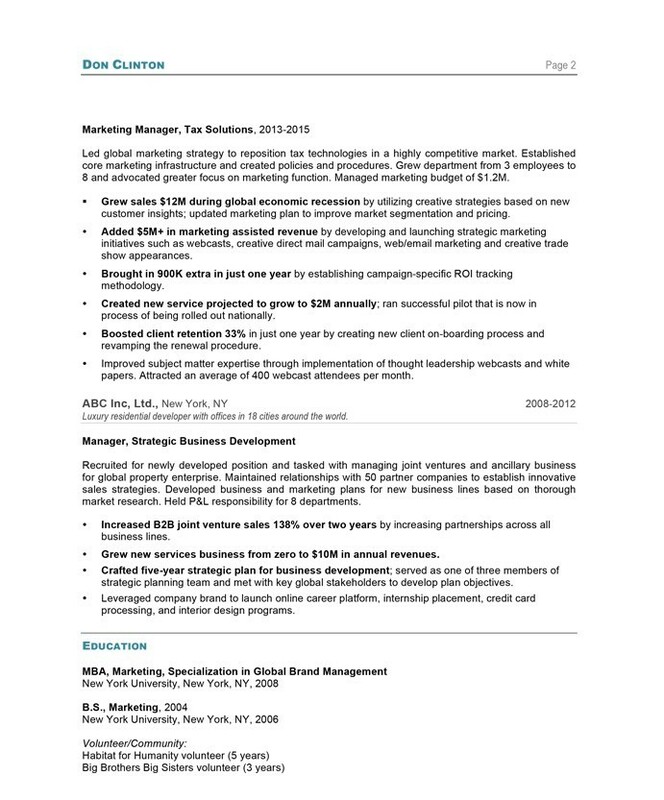 The first half of this resume presents a clear picture of exactly how Don adds value as a marketing director. Note the bolded first line of the introduction, which highlights an impressive result right upfront, and then the quote, which shows potential employers that Don has been highly regarded in prior roles. Further down the resume sample, you can see how we have bolded numbers and results. This is a great strategy for anyone with a record of success because, even at a quick first glance, employers can see a story of impact and results. The resume style is modern, but clean and professional. It’s eye-catching without being too creative for his target audience (financial services executives).